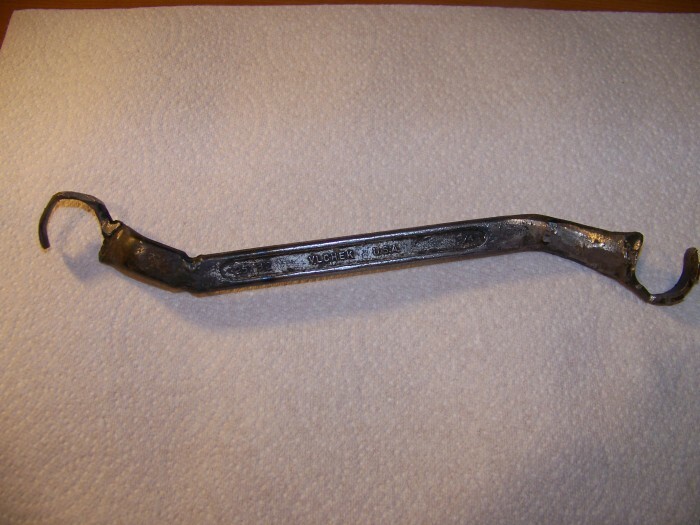 The invention relates to a wrench for manipulating lock nuts on cable clamps and conduit for securing electrical cable or conduit to electrical boxes. 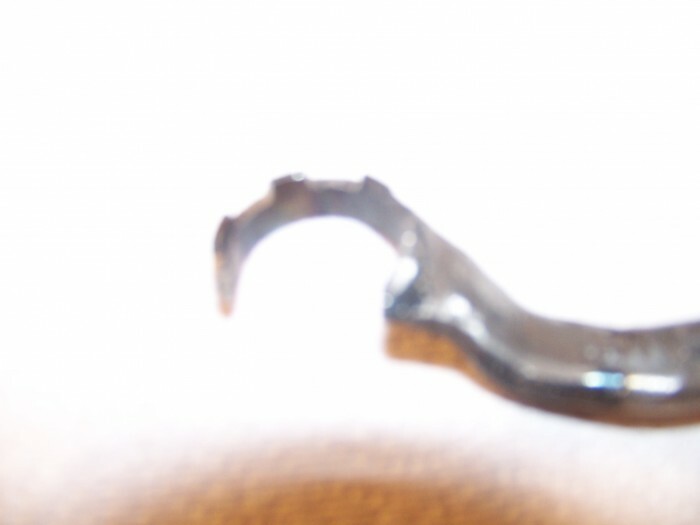 The wrench is useful for accessing difficult positions in a box such as securing a cable to a corner opening or in a back row of a box having multiple rows of cables. 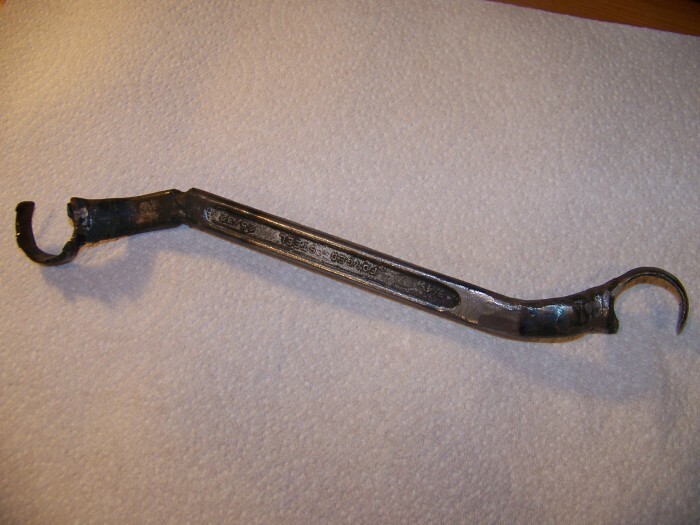 The wrench comprises a central handle shaft, two transition sections, one extending on either side of the handle shaft, and two arc shaped heads, one arc shaped head extending from each transition section, such that each arc shaped head is displaced at an angle to the handle shaft and at a distance normal to the handle shaft. 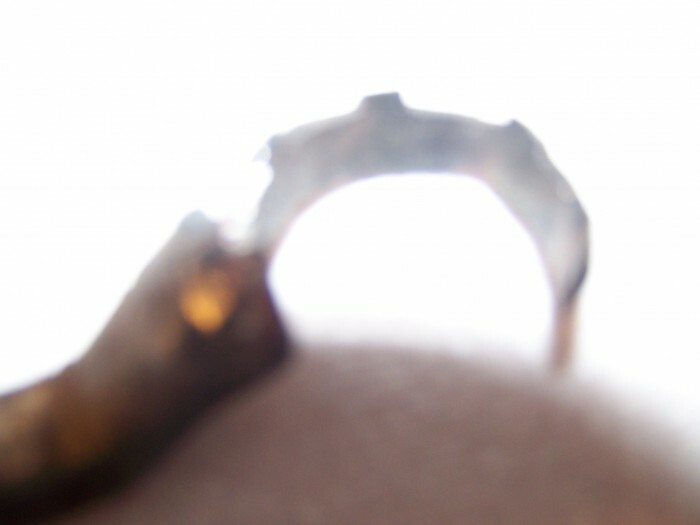 Each head comprises at least two tabs for engaging a lock nut. 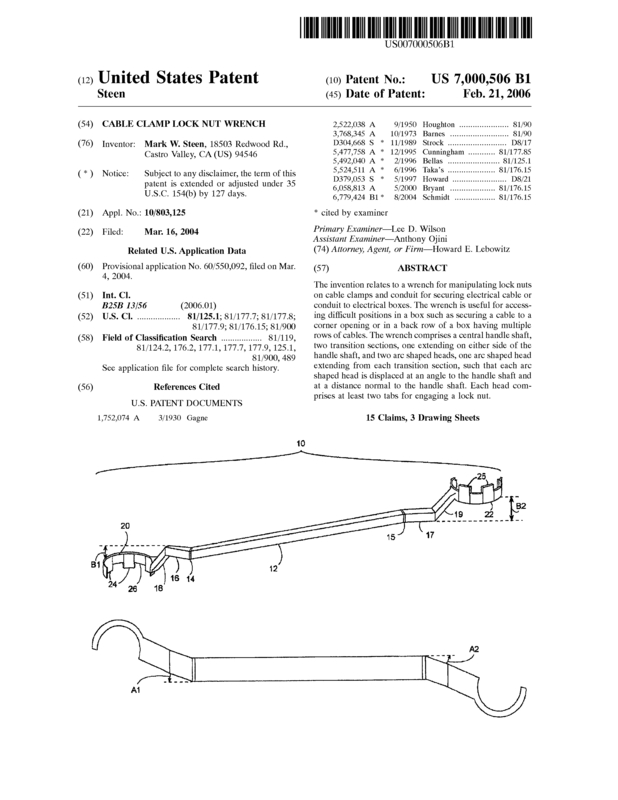 Page created at 2019-04-25 0:24:32, Patent Auction Time.